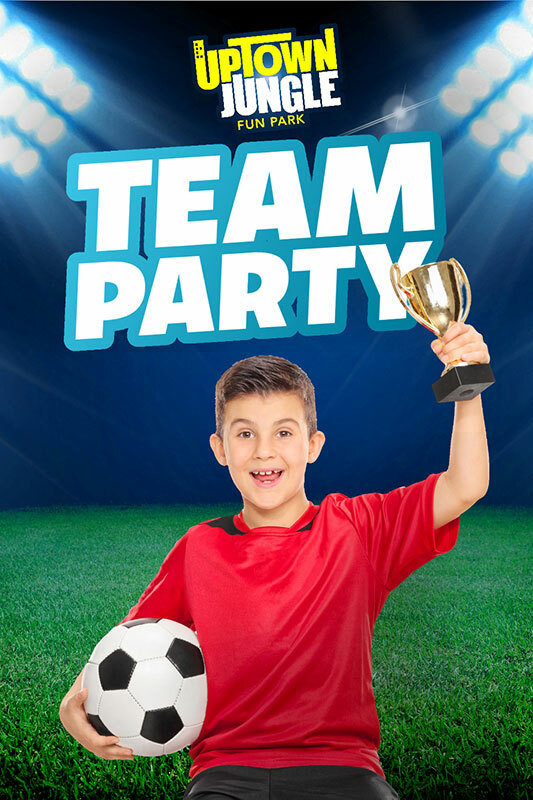 Celebrate your season with a team party that wins! Whether you play soccer, baseball, basketball, cheer, or any other sport, Uptown Jungle serves as the perfect venue for your team party. The season fun continues as teammates jump, climb, slide, and celebrate together. Party packages include a private party room for a trophy ceremony and options to include food & drinks.